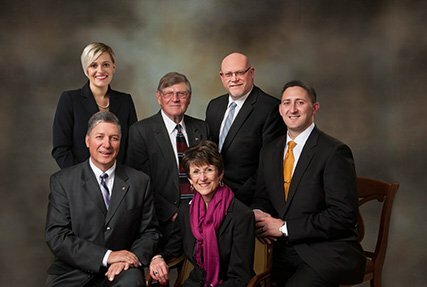 DeBord Snyder Funeral Home & Crematory is a full-service, independent, family-owned and operated funeral home and crematory located in Lancaster PA. We have been serving families since 1940 and are proud to be in our 4th generation of family ownership. Our mission, goal, and commitment is to provide a meaningful service to the families we serve, one that is appropriate for each individual, no matter what choices are made, and one that is affordable. Our Lancaster, PA funeral home does more than just provide a service to honor those who are no longer among us; we also create an important ceremony that helps survivors accept and deal with their loss by sharing memories with those around them. At DeBord Snyder Funeral Home & Crematory, we feel a deep sense of connection to our community and vow to maintain the quality of care Lancaster families have known for generations. Our strong belief is that each family should receive the utmost personal service from our funeral directors, with unmatched attention to detail as we assist them with paying a tribute and celebrating the life of their loved one. We offer distinctive opportunities for families to create healing moments after their loss. Our experience, high-quality service, and perspective on the significance of ceremony, as an important part of the healing process, has helped so many people find the best ways to pay tribute, pay respects, and express love. When it comes to cremation services, we have owned and operated our own on-site crematory since 1992 and therefore have unmatched experience when it comes funeral homes in Lancaster, PA. Arrangements for a cremation funeral service take the level of planning required by any memorial service, and we are here to ensure each family receives a beautiful memorial that captures the intended love and respect. 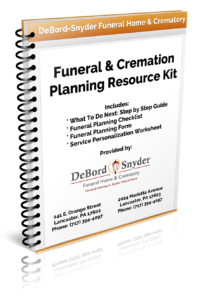 We invite you to call our compassionate, efficient staff at (717) 394-4097 to learn more about DeBord Snyder Funeral Home & Crematory.